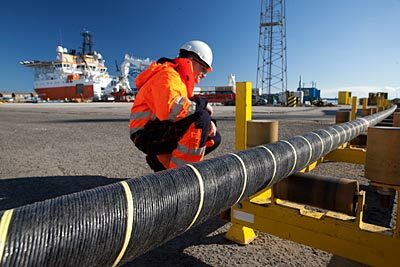 JDR, supplier of subsea umbilicals and power cables to the global offshore energy industry, has won the Global Exports category at the Subsea UK Awards for the second consecutive year. The awards ceremony – hailed as the most prestigious in the subsea sector – took place at the AECC in Aberdeen. Attended by over 550 industry professionals, the highly-coveted awards highlight the achievements of individuals and companies throughout the subsea industry, and bring together peers in mutual celebration of the UK’s leading position on the global stage. JDR took home the Global Exports Award for its successful global exports strategy and its adaptability to foreign markets. The company’s exports to the Middle East and expansion into the Chinese offshore market were key elements of its application. In 2016, the company also expanded its state-of-the-art Hartlepool facility to meet the demands of overseas operations.